The Italian winemaking family typically involves a legacy of generations, an inherent passion for wine and insatiable love of the land where they grew up. Today many of these families are spreading their influence to encompass several different wine regions. This expansion often includes creating either a resort or a unique destination for the wine enthusiast to enjoy. 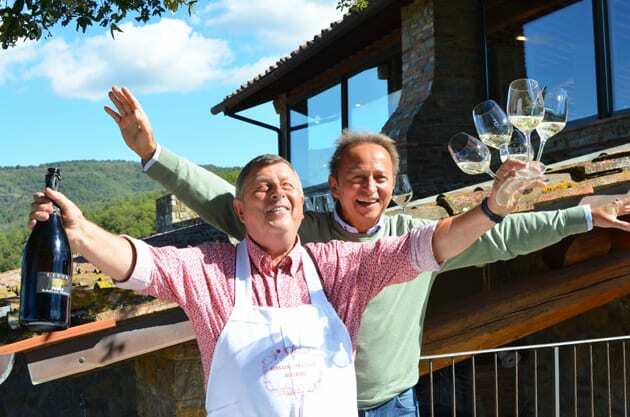 Such was the case when I visited Azienda Agricola Livon that now represents three distinct wineries, Livon in Collio, Borgo Salcetino in Tuscany and ColSanto in Umbria. It began in 1964 when Dorino Livon’s dream came to fruition in Friuli his homeland. Dorino sold lumber to buy his first piece of property. This region that includes Collio and Colli Orientali del Friuli lies in the most northeastern section of Italy. At the time, this area was not as well known and a gamble that paid off. This is an excerpt from an article published in September on Wander with Wonder.